Who will be the next boss of Manchester United? Jose Mourinho was in charge of Manchester United for two-and-a-half years, but his spell at the club was nothing short of disappointing. Manchester United’s 3-1 loss against Liverpool over the weekend proved to be the last straw for them. The club sacked Jose Mourinho on Tuesday morning after a miserable start to the season that left them 19 points behind the top of the Premier League table and arch rivals Liverpool. As of now, former United player Ole Gunnar Solskjaer stands as the club’s interim manager. Manchester United released a statement saying they will appoint a permanent replacement in the summer. 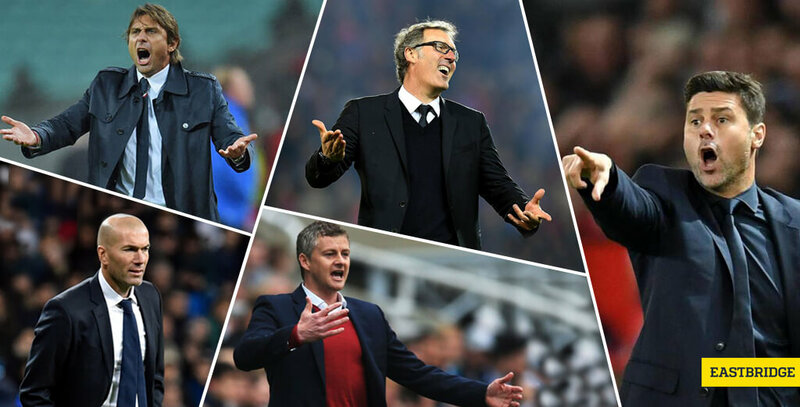 No Man Utd boss since Sir Alex Ferguson has provided stability and success at Old Trafford, but who could be the next in line to take charge of the once Champions of England? When Mourinho seemed on the verge of being sacked earlier this season, the former Real Madrid manager was considered as the first choice to replace the recently sacked United boss. He has been rumoured to join the Premier League side ever since he left the Bernabeu. Zidane, who won three consecutive Champions League trophies for Real Madrid, was expected to be interested in taking charge of United; however, there is an alleged agreement between himself and Real Madrid’s President Florentino Perez that he wouldn’t take a new managerial position until the end of the season. However, a lot of things can change in the span of months and United did say they will assign a permanent replacement in the summer. With his impact in his first season at Chelsea and a superb record at Juventus, Antonio Conte makes a viable contender for being the permanent replacement of Jose Mourinho at United. He could also build a strong professional relationship with Paul Pogba, who improved under his coaching and developed into one of the world’s most sought-after football players when the player was at Juventus. Although Conte is a proven winner with four league titles on his record, the former Juventus and Chelsea boss is currently involved in a legal battle with Chelsea when he appeared to lose control of the dressing room at Stamford Bridge last season when they were faced with a crushing defeat to Watford. There was several rumours that Laurent Blanc was about to become the caretaker manager at Old Trafford. A former manager of Paris Saint-Germain who left the club in 2016 after bagging three consecutive Ligue 1 titles and a good friend of Sir Alex Ferguson, Blanc is currently unattached to any other team as of the moment. He also had a brief playing spell at Manchester United in 2001-2003 so he already has familiarity with the club and would be a good choice to take over the Red Devils. However, it would be a huge risk to take him on since his appointment was reported to be precarious by United’s administration having managed just two sides at club level. When he was still playing for the Red Devils, this Norwegian has been a fan favourite at Old Trafford after scoring 91 goals in 235 matches for Manchester United. He was recently appointed as the club’s interim manager until they could find someone suited for the permanent role. If the current Norwegian boss manages to revive the crumbling form of Man Utd, he might just find himself taking over the club permanently. Aside from Zidane, it is reported that the Spurs boss is one of the top choices of United. Real Madrid were also reported to be interested in Pochettino. The Argentinian manager is currently in demand after leading the Tottenham Hotspur to end their Champions League group B run in the top four finish, while securing the third spot in the Premier League standings. There have been rumours that the Tottenham manager is said to have his eyes on two jobs in the world of football – as the boss of Real Madrid or Manchester United. However, Pochettino is currently involved in a five-year contract with the Spurs so being the Red Devils’ new boss may be unlikely for now. Who do you think will be in charge of the Red Devils next season? Subscribe to Eastbridge sports betting brokerage and never miss out on the latest news and updates on your favourite teams and players. Got your Premier League bets ready? Head over to our partner VOdds to have access to the best odds and prices for your sports picks.